2012-New year, new way to journal. One that records how many times people read — to satisfy my carnal craving to know if anyone out in computer-world is listening — i.e. Reading!! Thanks to all that do! Carpe diem! This has become my new word for the day — everyday — to get me out of this funk of not having a “real job.” Not really my choice these days. Thank you to the economic world for deciding to crash and burn at this moment in time. So I am back to my old life. This was a great way to live the first years of my marriage and raising kids but now it has become a real pain in the behind! Not that I can’t do nothin’ as good as the next guy. I love it but mainly when it is a treat not a way of life. Cleaning the home isn’t what makes me tick any more, or did it ever? I say NO but I made myself believe it did. I do LOVE a clean house, things in order etc. etc.! But just not every single day of thinking about it. It just gets messed up over and over, ya know? So here I am finding myself — again. 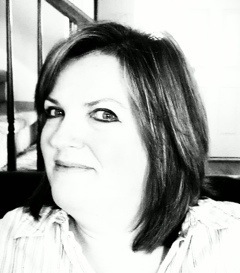 Being a preachers wife is a full-time job. Keeping up with my “preacher man” is the full-time part! I hope to be heard. All this infinite wisdom (lol) floating around in my head surely can help someone. If nothing else, the knowledge that we all are in the same boat! I have proved I am not perfect. I have never met a perfect person but I believe in a perfect GOD and he keeps me grounded. He’s funny that way. Gives me just enough rope!!! 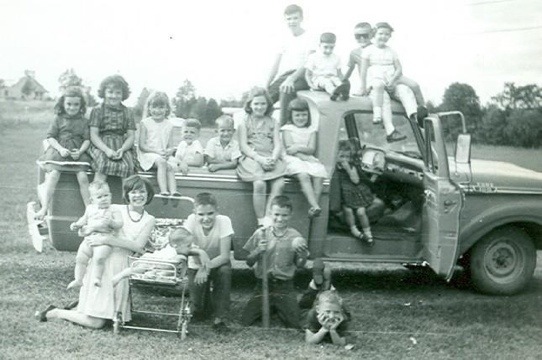 The people in the photo below are all my cousins on my mothers side, a view of country life in the early 60’s. These are the people who made me who I am, where I learned to play fair and enjoy the simplicity of the life lived with hard work and endurance. I am a better person because of them as well as my siblings. I will always be thankful of my heritage. merci monsouir! my french is aweful!…but, comme ce comme ca! Thank you for reading!! I like the new look! Very minimalist. From another preacher’s wife, I appreciate your words. Thanks and God bless you, your ministry, and your writing!